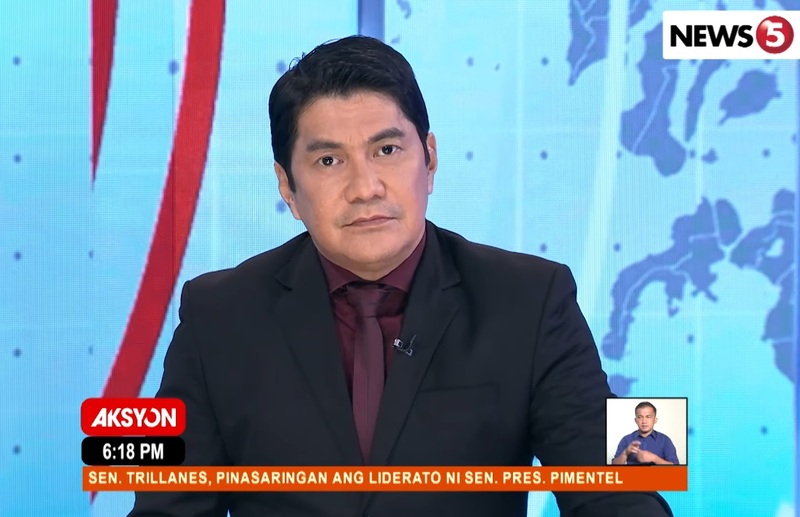 After more than a month of being away from the anchor chair, Erwin Tulfo will no longer be returning to his job as co-anchor of Aksyon, Media Newser Philippines has learned. Sources tell us that Tulfo, who took an indefinite leave of absence in early March, has officially exited the TV5 evening newscast after reaching an agreement with the management. Tulfo will remain part of TV5 as a talent, and will continue to host his radio program Punto Asintado on Radyo5 92.3 News FM, while he is also planning to produce a program for the Kapatid Network. With his departure, we are hearing that Aksyon will undergo another revamp sometime this summer — to reintroduce the newscast to its audience — with News5 chief Luchi Cruz-Valdes remaining as its lone anchor. Tulfo first joined the broadcast in October 2010, just six months after its initial telecast. He originally co-anchored it with Cheryl Cosim and Paolo Bediones until the two were transferred to their new assignments. Since 2014, Tulfo co-anchored the broadcast with Cruz-Valdes, while co-hosting another daily show — the now-defunct T3.